Plenty of space is this updated home!! It sits in the New Hampton Park subdivision on over half an acre offering almost 5000 square feet. 6 bedrooms, 4 bathrooms, and a fenced in backyard! The kitchen offers granite counter tops, tile back splash, tile flooring, new stainless steel appliances, and is open to the huge living room! The living room has vaulted ceilings, offers access to a sun room and the large back deck! 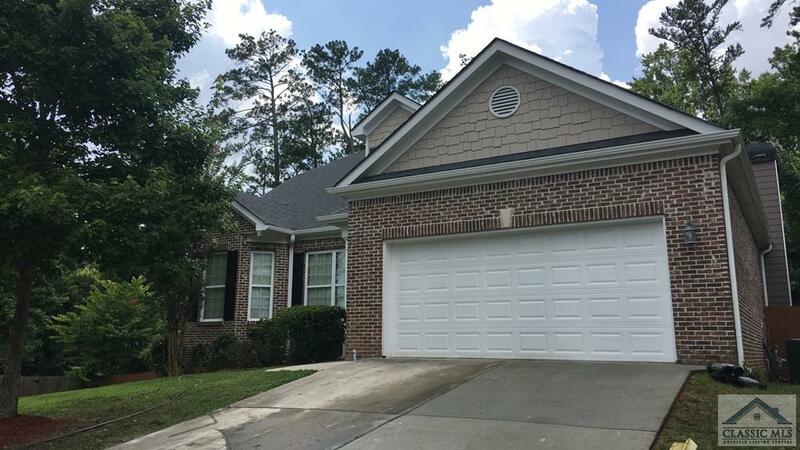 The master suite has vaulted ceilings, new carpet, double vanities, new tile flooring, large tub, beautiful glass shower with tile surrounds, and a large walk in closet! The main floor offers two more bedrooms, 1 more bathroom, dining room, office, large laundry and plenty of closet space! Upstairs, there is one more bedroom, one bathroom, and a great room overlooking the main floor. Full finished basement!! The basement has two bedrooms, one huge bathroom, living room, fresh coat of paint, and new flooring! New HVAC and so much more!! Move right in to this Athens home! Owner/agent. No Recorded Subdivision is a subdivision within the city of Athens, Georgia. There are currently 73 Homes for Sale within No Recorded Subdivision, with asking prices ranging from $15,000 to $3,370,500. The average list price per square foot of the available inventory in No Recorded Subdivision is $1,394, which is above the Athens average of $225. The Average Sales price of all sold real estate in this subdivision for the past year is $177,532. Recent comparable homes have been selling for 93.95% of their asking price. Waterfront homes represent 10.96% of the available No Recorded Subdivision inventory. The population of Athens, according to the 2010 Census, is 115,452. The total number of households in the zip code of No Recorded Subdivision is 16,955, with an average household size for of 2.33 people. The total number of renter households within the zip code of 30606 is 9,063, which means that 46.55% of households in this zipcode are owner occupant households. LISTING PROVIDED COURTESY OF Abbey, RAC Properties of Athens, Inc.
707 Gire Court, Athens GA 30606 is a Home, with 6 bedrooms which is recently sold, it has 4,892 sqft, .51-1 sized lot, and Attached,Garage parking. A comparable Home, has 6 bedrooms and 3 baths, it was built in and is located at 580 Tallassee Road Athens GA 30606 and for sale by its owner at $ 675,000. This home is located in the city of Athens , in zip code 30606, this Clarke County Home, it is in the No Recorded Subdivision Subdivision, and Bedgood Glenwood are nearby neighborhoods.